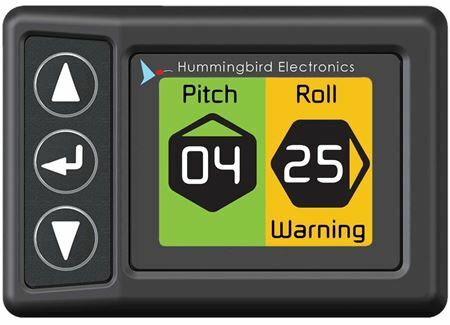 The Hummingbird Compact Dual Axis Inclinometer is a pocket sized, full colour display inclinometer giving operators of machinery an accurate pitch and roll readout with configurable warning and alarm levels. 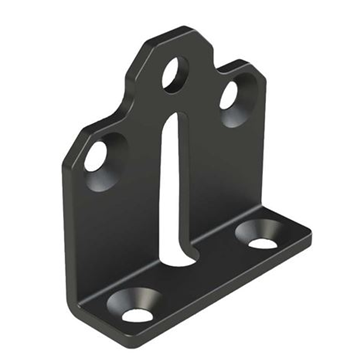 Ideally suited for smaller construction and farming machinery. 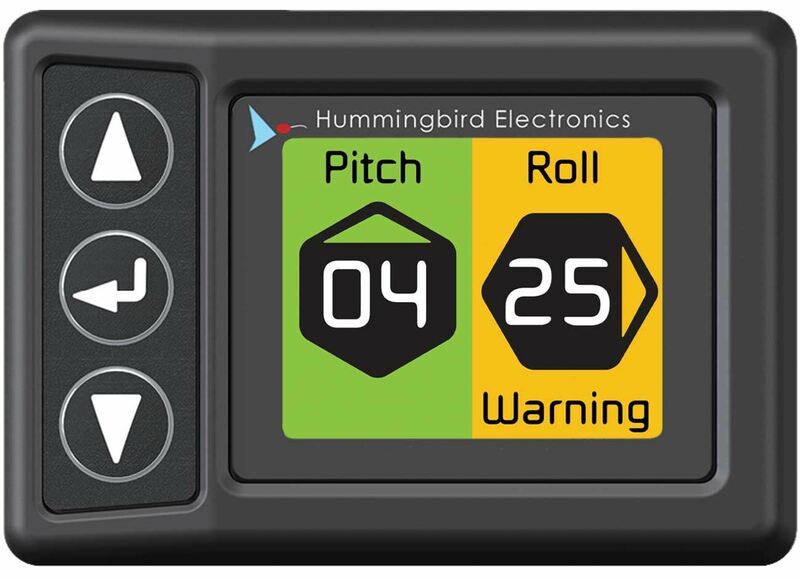 Remote MODBUS incline sensor included, sensor damping configurable, reverse polarity protected and optional RF incline sensor available.